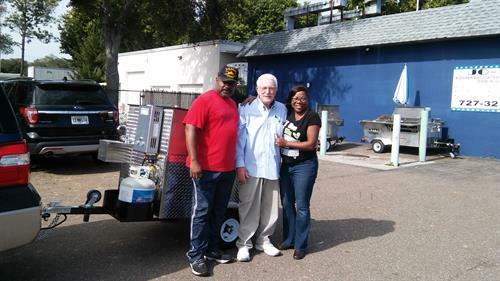 Veteran-Owned portable hot dog cart. Serving old-fashioned and vegan hot dogs. We have now expanded food items to include smoked foods such as ribs, turkey legs, and chicken, and dinners which includes two homemade sides and bread. D & R Specialty Hot Dogs now caters, providing delivery and/or delivery of food. 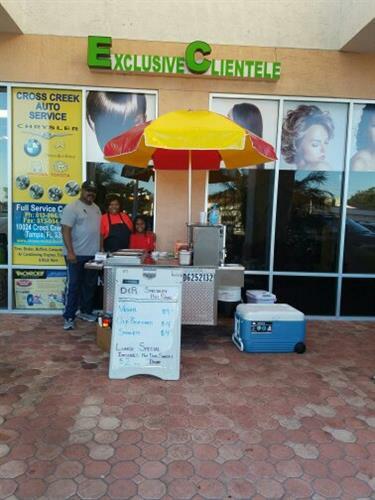 Our portable carts allow us to pull up to your business, home or event to serve you, fully equipped and self-contained. Manufacture completed on the hot dog cart. The Blossom Family, Reginald, Deatrice and daughter Aumoi.